The gurus on Le guru is You!Radio divulge their wisdom through the vehicle of conversation. Imagine if you will, that your first conversation was with the Universe just before you stepped into earth plane reality. 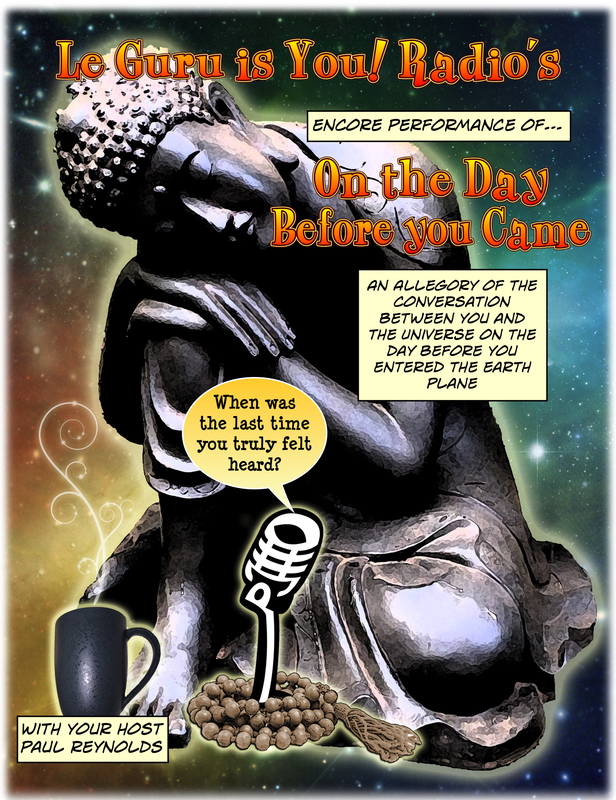 Sit back and enjoy this little allegory of tea and conversation with the Universe. Perhaps it will bring back a memory or two or stir up a lost notion of what it was you came here to accomplish!